Royal Canin is one of the largest breed-specific dog food manufacturers in the world. However, being big isn’t always a good thing. Royal Canin dry dog foods have quite a bit of by-products and lower protein/carb ratios. Based out of a massive headquarters in the south of France, Royal Canin boasts having “one of the world’s most advanced pet food manufacturing facilities.” The company also maintains a US headquarters in St. Charles, Missouri, as well as manufacturing facilities in both Missouri and South Dakota, and works under the idea that “that pets are not people; they are unique animals with unique nutritional needs that are distinctly different from our own” according to their website. 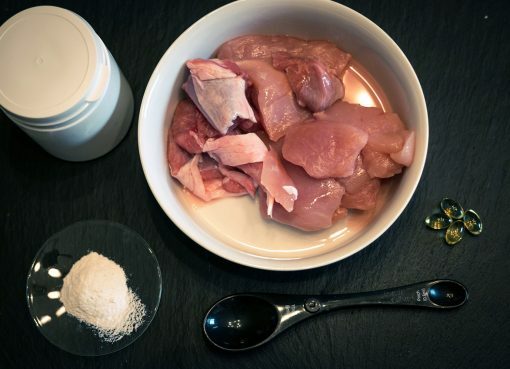 All of the food sold in the United States comes directly from US sources, and most Royal Canin food varieties consist of chicken meal, chicken by-product, chicken fat, and a variety of healthy grains. The company promises that only high-quality by-products such as hearts, livers, and lungs make their way into Royal Canin dry dog food; nonetheless, it’s still by-products. Royal Canin also often adds in a variety of vitamins and minerals based on the specific dog’s needs, such as glucosamine and/or chondroitin for breeds prone to joint problems. Royal Canin produces a huge variety of foods, catering to most of the standard pure dog breeds individually, but they also have size based selections for those with non-purebreeds. 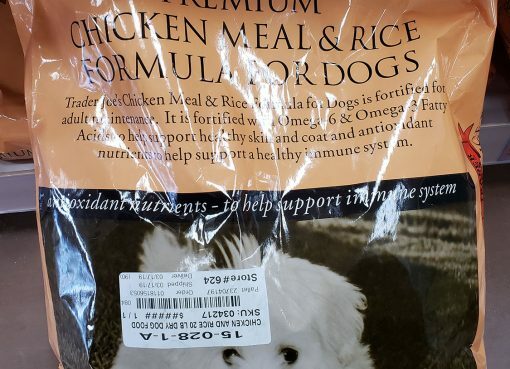 Even further, the company manufactures a different product for each stage of life for those breeds, and often even manufactures sensitive stomach and other specialty choices as well. All of the choices come in wet and dry forms and have specific feeding instructions printed on the sides. 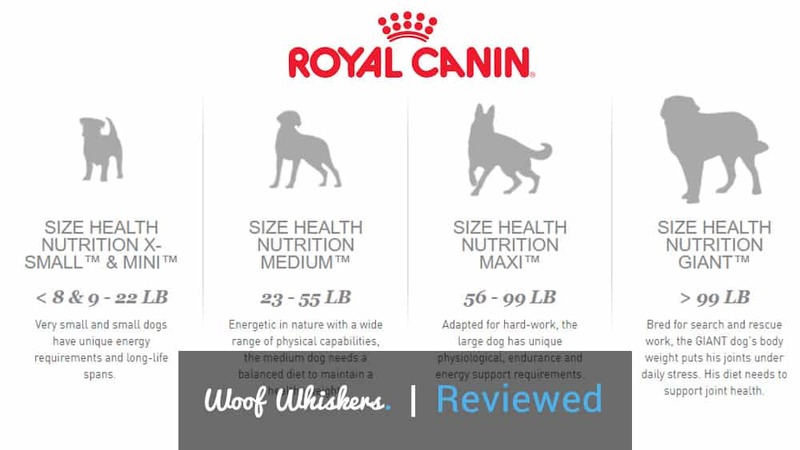 This means that that standard Royal Canin food comes in four varieties (Mini, Medium, Maxi, and Giant), each catering directly to the needs of dogs within a certain size range. Larger dogs, for example, have additional supplements added to their diet to promote joint health, while smaller dogs need extra vitamins and minerals to sustain their high energy lifestyles. With that kind of scientific dedication, it is easy to see why Royal Canin has stayed at the top of the pet food industry for as long as they have. 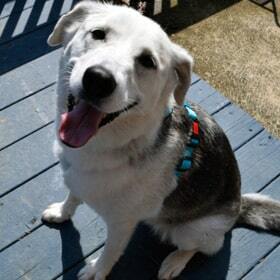 Some dogs might need a specialized diet because of certain health problems, and Royal has a line for that as well. Available for both dogs and cats, the Veterinary Diet line has choices for a wide variety of ailments, ranging from calming support for more stressed or skittish animals to a Hepatic blend made for animals with liver issues. Treats and even vegetarian options are available from this line as well, ensuring that all dogs can be kept happy and healthy. Royal Canin realizes that not all dogs of the same breed lead the same kind of life, and so they introduced the Lifestyle Health line to work with this fact. With three different products (Urban, Indoor, and Sporting), Lifestyle Health allows owns to better tailor their pet’s diets to their activity levels. Each variety also comes in size and age specific formulas, and are also available in canned form. Royal Canin can be found in most major pet food retailers, as well as a number of smaller stores. 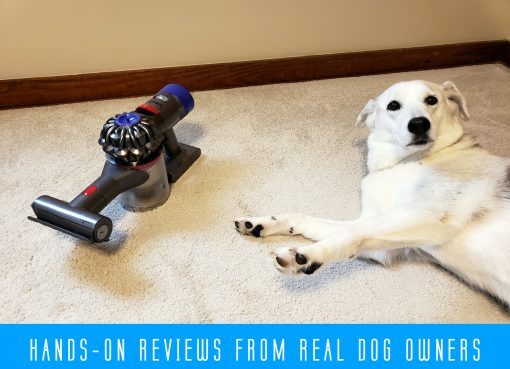 Additionally, pet owners can simply order directly from the company’s website, or even through websites such as Amazon.com. Many of the veterinary diet brands, however, will require a prescription, and as such often might only be available through a veterinarian.